Safe Adam has teamed up with t-Series to bring you Shukran Allah, a popular Bollywood track. The original Bollywood song has been sang many times, with different versions available on the web. For example, nasheed artist Nazeel Azmi did a version back in 2014. 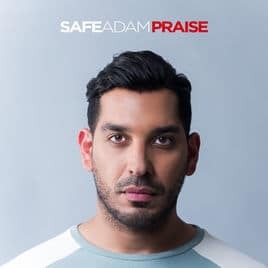 Safe has applied a unique country-like sound to this song, creating a version that is truly his own. With an already popular hook, this track was set up to do well from the beginning. So why has it been placed in the last position on the album? One reason for this might be the mainstream nature of Safe’s work. He is targeting the entire Muslim world with his music, reaching out to countries such as Indonesia, Jordan and Nigeria. People from the sub-Indian continent are more likely to enjoy this specific track given the popularity of the original making it less mainstream – just a guess! Let’s take a look at the lyrics while calling out any references to Quran and Hadith. And i’m nowhere near the end. If you’re a fan of the original you will most likely love this track. I personally prefer some of the other versions of this song, however that’s not to take away from this track. Great vocals and guitar!